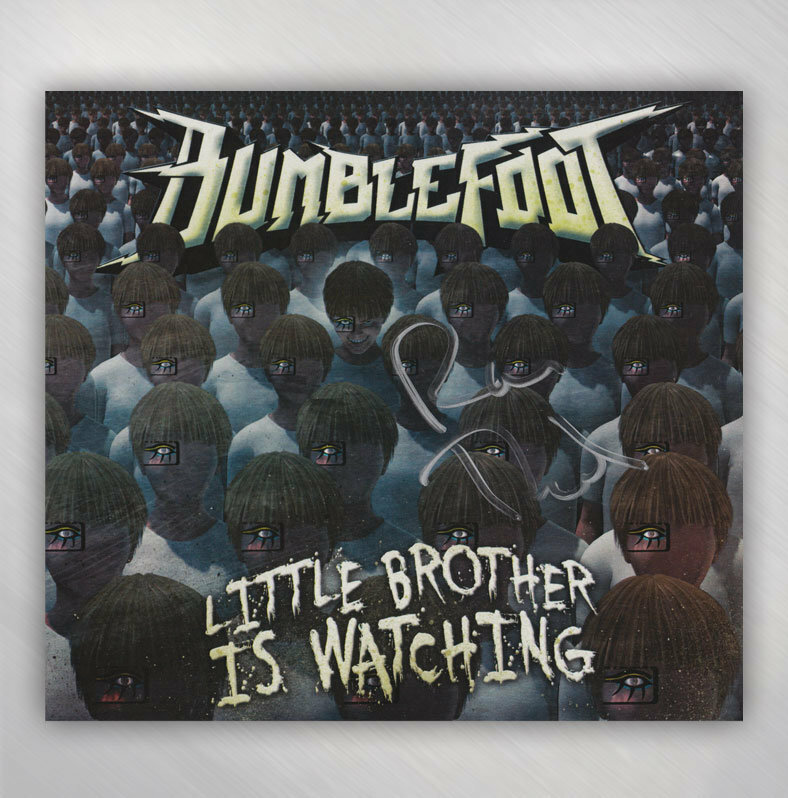 Bumblefoot's "Little Brother Is Watching" album is an eccentric, upbeat collection of modern epic rock with haunting melodies, huge choruses and witty lyrics about life in the digital age and beyond. Specifically, his own life and coming to terms with what we all face - beginnings, endings, and moving on. 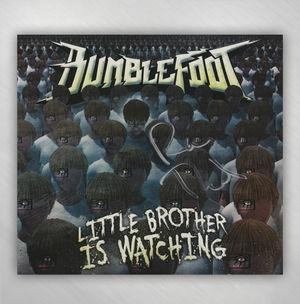 The album was composed, produced, recorded, mixed and mastered by Bumblefoot at his studio in New Jersey, and also features drummer Dennis Leeflang and a crowd of 100 fans stomping, chanting and singing backing vocals recorded at a listening party in New York.